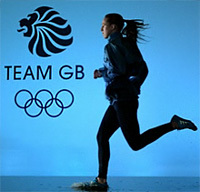 Adidas and Stella McCartney officially launching The Kit - exclusive Olympic collection designed specially for Team GB. The collection design is inspired by the British flag. “The first place to start on a project like this is to look at the Union flag. For me it’s one of the most beautiful flags in the world and it was important for me to stay true to that iconic design but also to modernise it and present it in a contemporary way", says Stella. She has accounted for everything, right down to the smallest of details. "I made the flag less strident, more delicate, but then of course I had to be careful not to over feminise the men," says Stella too. For the first time in the history of the Olympic Summer Games, a top fashion designer has teamed up with a leading sports brand to design competition wear for both the national Olympic and Paralympic Teams. The sportswear has been over two years in the making and combines the best in performance technologies and stand-out British style, according to adidas who brought McCartney on board as creative director.